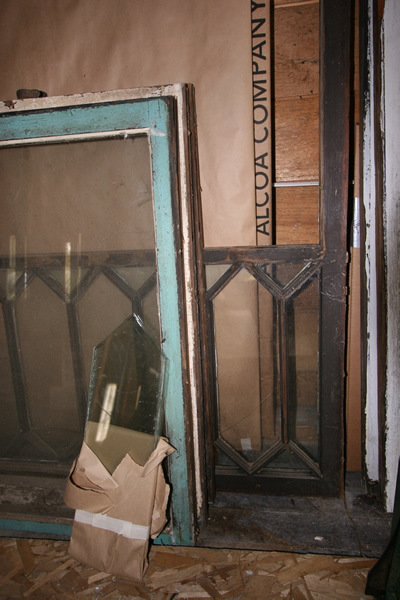 Codes allowed the single pane glass to remain because of the historic nature of the house. New windows, although much more energy efficient, would have never replicated the look of the originals. 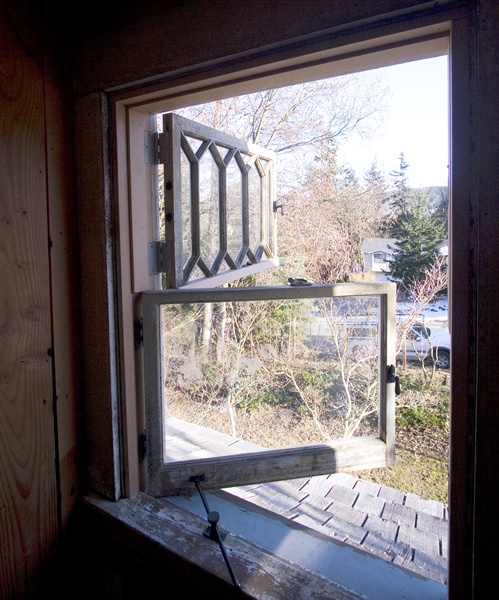 Many windows, however, had been damaged by windstorms and required extensive repairs. 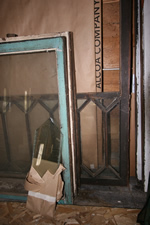 To retain the wavy appearance of the old windows glass was salvaged from other old windows and was cut into custom shapes. Ye olde window shoppe! 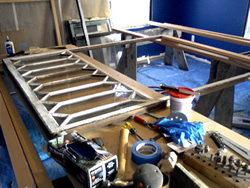 Custom millwork was created to repair broken sash frames and all the glass was hand glazed in the traditional manner. The results were windows that were a mix of old and new work, but when painted out will look like originals. 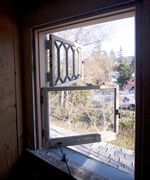 The upstairs bedrooms each had one of their original single hung windows modified into out-swing casement windows to create code approved egress openings for fire escape. When closed they still look just as they did before.